Through faith in Christ, we can be spiritually prepared and cleansed from sin, immersed in and saturated with His gospel, and purified and sealed by the Holy Spirit of Promise. My boyhood home in California was located relatively close to large orchards of apricots, cherries, peaches, pears, and other delicious fruits. We also lived near fields of cucumbers, tomatoes, and a variety of vegetables. As a boy I always looked forward to canning season. I did not like scrubbing the canning jars or working in our hot kitchen. But I did like working with my mom and dad. And I loved eating my work! I am sure I ate more fruit than ever made it into any of our canning jars. My memories of time spent in the kitchen with Mom and Dad are stirred every time I see a bottle of home-canned cherries or peaches. The basic lessons I learned about temporal self-reliance and provident living while picking and canning produce have blessed me throughout my life. Interestingly, simple and ordinary experiences often provide the most important learning opportunities we ever have. As an adult I have reflected upon the things I observed in our kitchen during canning season. This morning I want to discuss some of the spiritual lessons we can learn from the process by which a cucumber becomes a pickle. 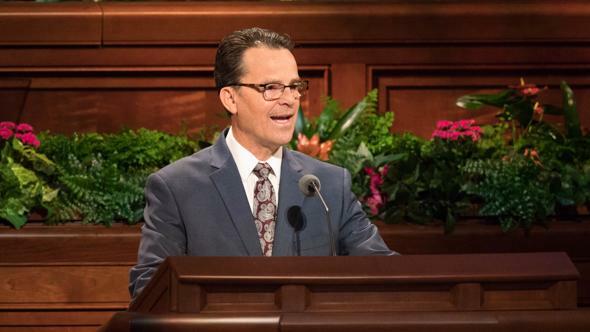 I invite the Holy Ghost to be with us as we consider the significance of those lessons for me and for you as we come unto Christ and are spiritually reborn. A pickle is a cucumber that has been transformed according to a specific recipe and series of steps. The first steps in the process of changing a cucumber into a pickle are preparing and cleaning. I remember many hours spent on the back porch of my home removing stems from and scrubbing dirt off of the cucumbers we had picked. My mom was very particular about the preparing and cleaning of the cucumbers. She had high standards of cleanliness and always inspected my work to make sure this important task was properly completed. The next steps in this process of change are immersing and saturating the cucumbers in salt brine for an extended period of time. To prepare the brine, my mom always used a recipe she learned from her mother—a recipe with special ingredients and precise procedures. Cucumbers can only become pickles if they are totally and completely immersed in the brine for the prescribed time period. The curing process gradually alters the composition of the cucumber and produces the transparent appearance and distinctive taste of a pickle. An occasional sprinkle of or dip in the brine cannot produce the necessary transformation. Rather, steady, sustained, and complete immersion is required for the desired change to occur. The final step in the process requires the sealing of the cured pickles in jars that have been sterilized and purified. The pickles are packed in canning jars, covered with boiling hot brine, and processed in a boiling-water-bath canner. All impurities must be removed from both the pickles and the bottles so the finished product can be protected and preserved. As this procedure is properly followed, the pickles can be stored and enjoyed for a long period of time. To summarize, a cucumber becomes a pickle as it is prepared and cleaned, immersed in and saturated with salt brine, and sealed in a sterilized container. This procedure requires time and cannot be hurried, and none of the essential steps can be ignored or avoided. 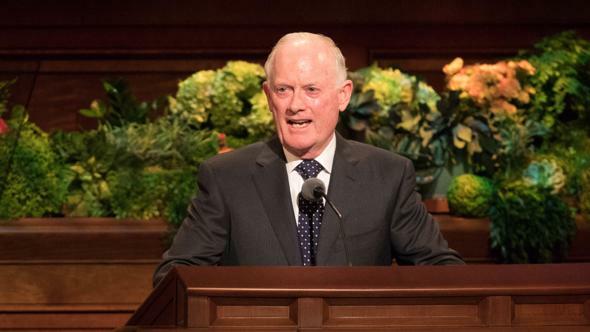 “And thus they become new creatures; and unless they do this, they can in nowise inherit the kingdom of God” (Mosiah 27:25–26). We are instructed to “come unto Christ, and be perfected in him, and deny [ourselves] of all ungodliness” (Moroni 10:32), to become “new creature[s]” in Christ (see 2 Corinthians 5:17), to put off “the natural man” (Mosiah 3:19), and to experience “a mighty change in us, or in our hearts, that we have no more disposition to do evil, but to do good continually” (Mosiah 5:2). Please note that the conversion described in these verses is mighty, not minor—a spiritual rebirth and fundamental change of what we feel and desire, what we think and do, and what we are. 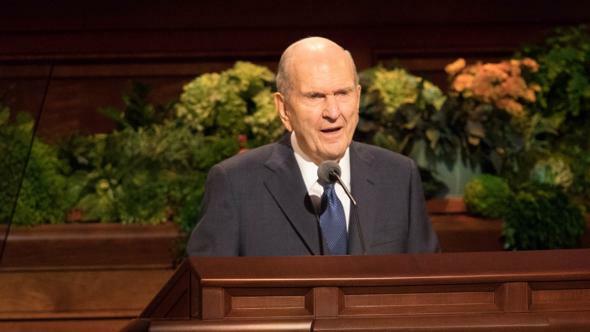 Indeed, the essence of the gospel of Jesus Christ entails a fundamental and permanent change in our very nature made possible through our reliance upon “the merits, and mercy, and grace of the Holy Messiah” (2 Nephi 2:8). 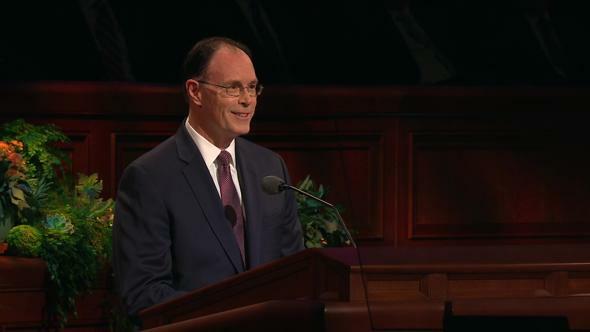 As we choose to follow the Master, we choose to be changed—to be spiritually reborn. 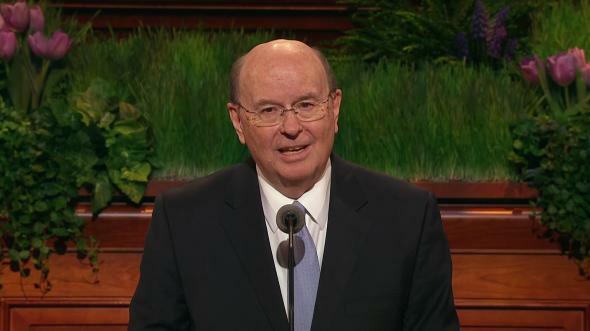 Just as a cucumber must be prepared and cleaned before it can be changed into a pickle, so you and I can be prepared with “the words of faith and of good doctrine” (1 Timothy 4:6) and initially cleansed through the ordinances and covenants administered by the authority of the Aaronic Priesthood. 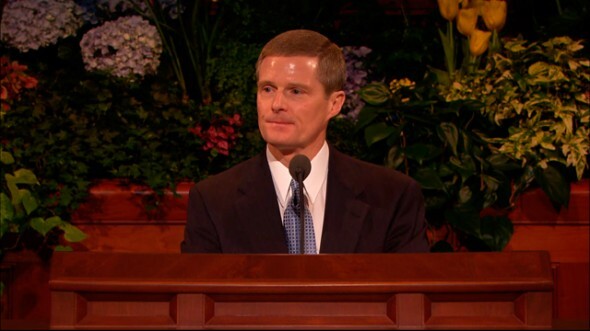 “Which gospel is the gospel of repentance and of baptism, and the remission of sins” (D&C 84:26–27). And the Lord has established a high standard of cleanliness. “Wherefore teach it unto your children, that all men, everywhere, must repent, or they can in nowise inherit the kingdom of God, for no unclean thing can dwell there, or dwell in his presence” (Moses 6:57). Proper preparing and cleaning are the first basic steps in the process of being born again. 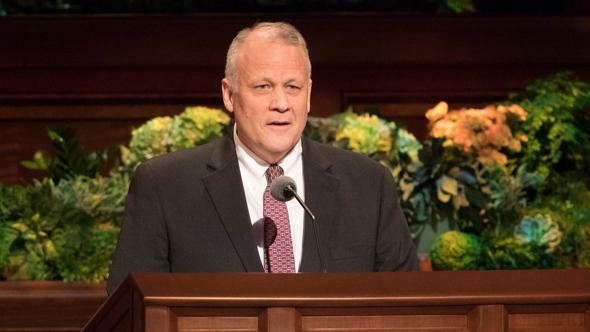 “Because of the covenant which ye have made ye shall be called the children of Christ, his sons, and his daughters; for behold, this day he hath spiritually begotten you; for ye say that your hearts are changed through faith on his name; therefore, ye are born of him and have become his sons and his daughters” (Mosiah 5:7). The spiritual rebirth described in this verse typically does not occur quickly or all at once; it is an ongoing process—not a single event. Line upon line and precept upon precept, gradually and almost imperceptibly, our motives, our thoughts, our words, and our deeds become aligned with the will of God. This phase of the transformation process requires time, persistence, and patience. A cucumber only becomes a pickle through steady, sustained, and complete immersion in salt brine. Significantly, salt is the key ingredient in the recipe. Salt frequently is used in the scriptures as a symbol both of a covenant and of a covenant people. And just as salt is essential in transforming a cucumber into a pickle, so covenants are central to our spiritual rebirth. “Therefore we are buried with him by baptism into death: that like as Christ was raised up from the dead by the glory of the Father, even so we also should walk in newness of life” (Romans 6:4). 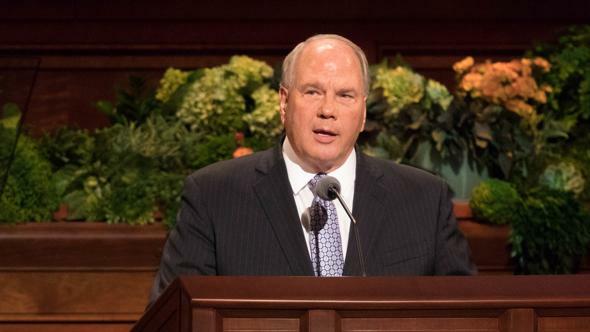 And after we come out of the waters of baptism, our souls need to be continuously immersed in and saturated with the truth and the light of the Savior’s gospel. Sporadic and shallow dipping in the doctrine of Christ and partial participation in His restored Church cannot produce the spiritual transformation that enables us to walk in a newness of life. Rather, fidelity to covenants, constancy of commitment, and offering our whole soul unto God are required if we are to receive the blessings of eternity. “I would that ye should come unto Christ, who is the Holy One of Israel, and partake of his salvation, and the power of his redemption. Yea, come unto him, and offer your whole souls as an offering unto him, and continue in fasting and praying, and endure to the end; and as the Lord liveth ye will be saved” (Omni 1:26). Total immersion in and saturation with the Savior’s gospel are essential steps in the process of being born again. Cured cucumbers are packed into sterilized jars and heat processed in order to remove impurities and to seal the containers from external contaminants. The boiling-water-bath procedure enables the pickles to be both protected and preserved over a long period of time. In a similar way, we progressively become purified and sanctified as you and I are washed in the blood of the Lamb, are born again, and receive the ordinances and honor the covenants that are administered by the authority of the Melchizedek Priesthood. “And who overcome by faith, and are sealed by the Holy Spirit of promise, which the Father sheds forth upon all those who are just and true” (vv. 50–53). The Holy Spirit of Promise is the ratifying power of the Holy Ghost. When sealed by the Holy Spirit of Promise, an ordinance, vow, or covenant is binding on earth and in heaven. (See D&C 132:7.) Receiving this “stamp of approval” from the Holy Ghost is the result of faithfulness, integrity, and steadfastness in honoring gospel covenants “in [the] process of time” (Moses 7:21). However, this sealing can be forfeited through unrighteousness and transgression. Purifying and sealing by the Holy Spirit of Promise constitute the culminating steps in the process of being born again. My beloved brothers and sisters, I pray this parable of the pickle may help us to evaluate our lives and to better understand the eternal importance of spiritual rebirth. With Alma, “I speak in the energy of my soul” (Alma 5:43). 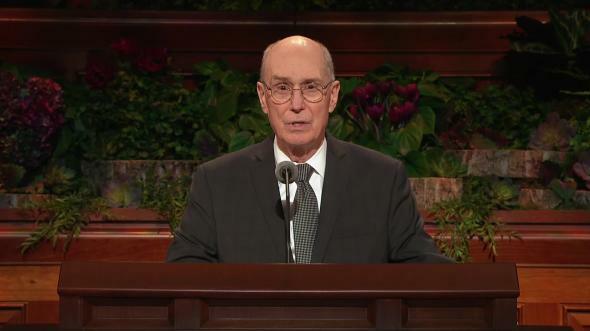 “I say unto you that this is the order after which I am called, yea, to preach unto my beloved brethren, yea, and every one that dwelleth in the land; yea, to preach unto all, both old and young, both bond and free; yea, I say unto you the aged, and also the middle aged, and the rising generation; yea, to cry unto them that they must repent and be born again” (Alma 5:49). I witness the reality and divinity of a living Savior who invites us to come unto Him and be transformed. 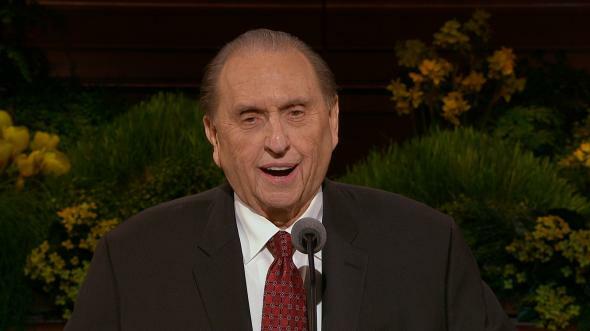 I testify His Church and priesthood authority have been restored through the Prophet Joseph Smith. Through faith in Christ, we can be spiritually prepared and cleansed from sin, immersed in and saturated with His gospel, and purified and sealed by the Holy Spirit of Promise—even born again. In the sacred name of Jesus Christ, amen.